New product, free for a limited time! 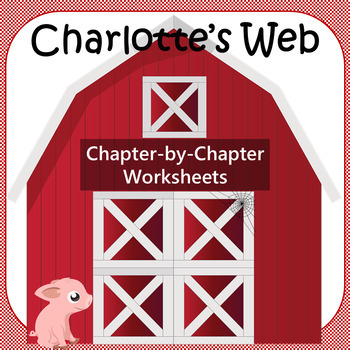 Our Charlotte’s Web chapter-by-chapter novel worksheets serve as a resource to help teachers and students check for understanding as they read through this beloved children’s novel. This bundle features 22 individual reading comprehension worksheets, one for each chapter of the novel. 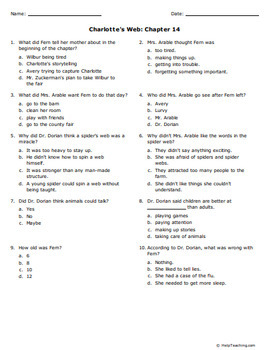 Each short printable is 1 – 2 pages and consists of 10 – 15 multiple choice questions that check for story comprehension for a given chapter. Worksheets are appropriate for quizzes, homework, review work, or supplementing lesson material. Answer keys included. 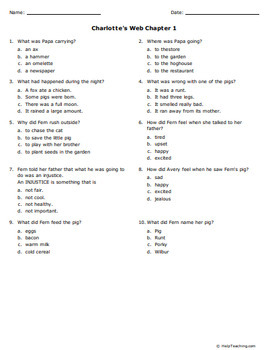 Find more literature worksheets at HelpTeaching.com. You may also like our other Chapter-by-Chapter Worksheets and our Informational Text Bundles. Please review this product to help us evaluate our product quality! This work by HelpTeaching.com is licensed under a Creative Commons Attribution-NonCommercial-NoDerivs 3.0 Unported License.